Update: Sadly, B Street closed in February 2014. For the last 8 years, I have been on a quest. A quest to locate my favorite food made well in New England. A quest…for Boston’s Best Chili. This has been a treacherous road with many ups and downs, and a lot of mehs. And until last week, I thought all hope was lost. Now, because my homemade chili is out-of-this-world (she said modestly), maybe my standards have been a little too high. But I have never been one to lower my standards for ease, so the quest continued. That’s when I wandered into All Star Sandwich Bar. The first item in the right column of their menu is “Texas State Penn Chili: w/ sour cream, onions, jack cheese, lime and cornbread.” And there is even a little fireball next to the description warning of heat. Sold! Texas State Penn Chili at All Star Sandwich Bar in Inman Square, Cambridge, MA. What the menu didn’t tell me was that this chili was a no-beans style chili with delicious, tender chunks of brisket simmered to perfection. It didn’t tell me that the seasoning in this chili is so well done, and isn’t overwhelming, but actually works to compliment every ingredient with just the right amount of heat. The menu did not tell me that my quest for Boston’s best chili was now over. You know how they say when it rains it pours? Well, later that week we headed to Newton Center to try out B Street. Once again, taking a look at the winter menu, one of the first items listed caught my eye. 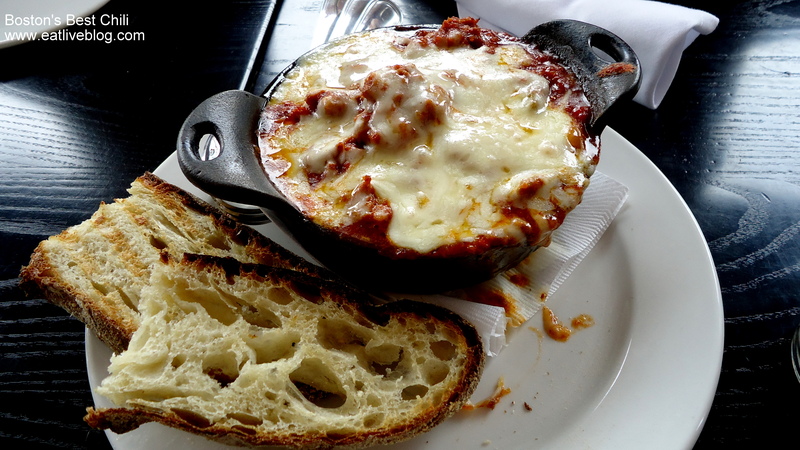 “Turkey Chili w/ butternut squash & plum tomatoes: topped with Vermont cheddar & grilled rustic potato bread”, yeah, after seeing this nothing else had a chance. Turkey Chili from B Street in Newton, MA. 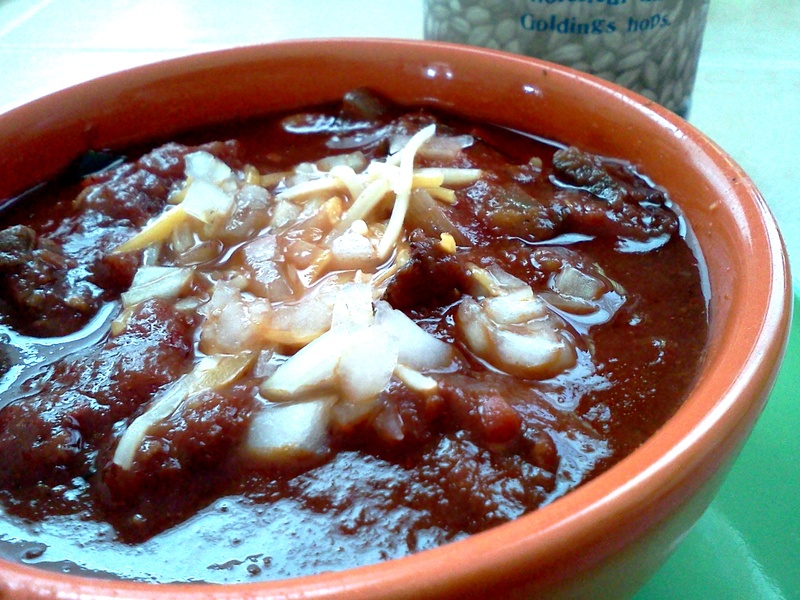 Served in a bubbling crock, this chili came out with a delicious aroma that hinted of cinnamon. With chunks of ground turkey and a light sweetness, this chili was quite the opposite of All Star’s, but also sent my taste buds in a frenzy. I found myself wishing the bowl would never end. Could it be? In one little week had my search for Boston’s Best Chili come to an end?! Now what am I going to do with my time? 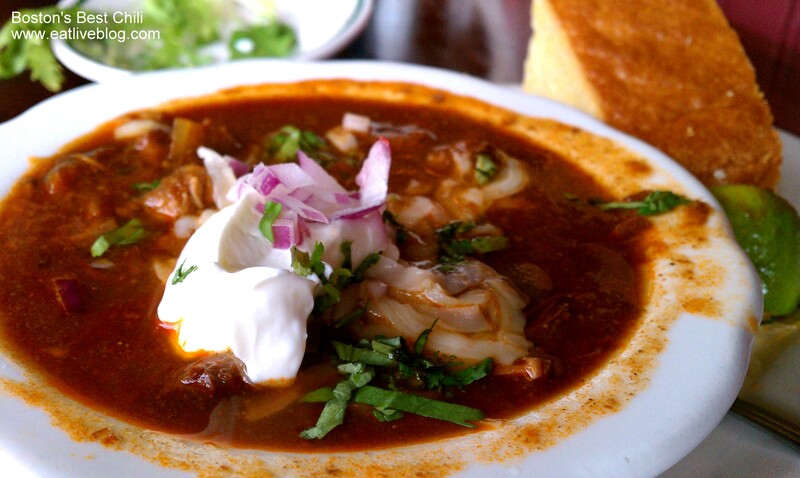 What is your favorite restaurant chili? This entry was posted in Reviews and tagged all star sandwich bar, b street, boston, cambridge, chili, inman square, newton, restaurant, review by reneeh. Bookmark the permalink. I hope that B Street transitions the chili to the spring menu – so good and worth another lunch outing. I looove All Star. I want to try B Street too. I love All Star! Once my meat free lent is over, I’ll have to try out the chili!